WU@CEC: Sukkot Celebration and Services this Week! The year 5779 at CEC has definitely kicked off with a great start. Our High Holy Day services were well attended and engaging. We would like to say Toda Raba to all of those that make our Congregation a Community! Jodi and Rick Prohofsky for set up and organization during services. Cantor Sam Radwine for the lovely, musical, thought provoking services and sermons. All of those who honored us by participating in the services, including our Torah readers: Dawn Bachman, Lauren Levine, Shoshana Myerson, and Ryan Malashock. Sam Ellgass for his beautiful rendition of Kol Nidre. Hear it again by clicking here . Louis and Jennifer Martin for providing beverages for our Yom Kippur Break the Fast​​​​​​​. "Oy Tray" provided by Mark and Lauren Levine, who catered our Yom Kippur Break the Fast. High Holy Days Food Drive! Please return to Waterway on Sukkot (September 28th) or order online and have delivered to: FCC c/o Peggy Hicks: 807 SE 14th Street., Bentonville, AR 72712. Sukkot Celebration Sept 28th at 6:30 p.m.
Our Sukkot Pot Luck Celebration will begin with a brief Shabbat and Sukkot service and then we will celebrate with our pot luck under the Sukkah. Please join us at 6:30 p.m. on Friday September 28th at Waterway. Please contact Helene Carter with any question at 479-883-8598 or email by clicking here . Mazel tov to Evan Carter on becoming a Bar Mitzvah! All are invited to join the Carter family at Congregation Etz Chaim on October 6th at 10 a.m. at Waterway as Evan Carter is called to the Torah for his Bar Mitzvah. The Carter family will sponsor a celebration luncheon at Waterway immediately following services. We are excited to celebrate with the Carter family on this wonderful simcha. A special Holocaust Education Conference will be held this year at the Jones Center on Friday, November 16, 2018. This year’s theme is: The Holocaust: What Was It? Who Knew? Who Cared? Seven renowned national experts will be presenting from all over the US. The Holocaust survivor, Pieter Kohnstam, will be flying from Venice, Florida, to present his unique story. Pieter’s family left Germany for Amsterdam when the Nazis assumed power. His family lived alongside the Franks and Pieter’s babysitter was Anne Frank. His story is riveting. We are presenting at many different venues this year, including the local schools, Butterfield Trail Village, Juvenile Detention Center and other sites. We need volunteers who are willing to drive the presenters to and from the airport, hotel, presentation sites, Temple Shalom and Congregation Etz Chaim and other venues. The driving events will occur form Tuesday, November 12 through Sunday, November 29th. You can volunteer for as many driving spots are you desire. Please contact Barry Brown (bbrown@uark.edu , 479 871-1457) if you are willing to volunteer. The workshop is supported by Arkansas Jewish Federation, Sturgis Foundation, the Temple Shalom Sisterhood and Congregation Etz Chaim. The September's Brown Baggin' It item is Soup to support the Samaritan Center's food pantry and Baby Dolls to support FCC's Miracle on 14th Street. If you would like to participate, please contact Peggy Hicks at peggy@fccww.org. Please bring any and all donations to a CEC event at Waterway or FCC. We appreciate your support of our relationship with FCC and our Community. Toda Raba! 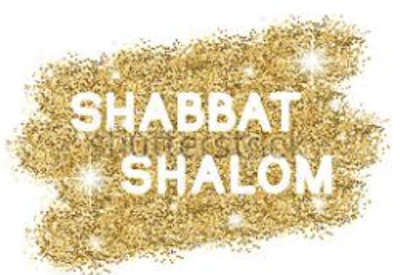 Join us for a wonderful relaxing Shabbat. Cantor Radwine will lead our Friday evening Shabbat Service. Please bring your donation to services for FCC's Brown Baggin' It program (please see above for further description). Let's do some good and help our community. Did you know that Congregation Etz Chaim has a new phone number? If you are looking for information or would like to call us, you can find us at: (501) 683-8967 or at info@etzchaimnwa.org . Complete your Membership Forms here...Join Congregation Etz Chaim and become a member supporting our Congregation. You may now join us conveniently online! Renewing members form click here . New members form click here. Have kids you would like to enroll in Religious School? Religious School registration form click here. Contact Helene Carter, Religious School Director, for additional information at email or 479-883-8598. Would you like to contact Cantor Sam Radwine? You can do so by emailing him from here. He is always available for you and to support our community.